La Barra Uruguay is one of the places on earth that you will visit and want to return again and again. This beach city, only a few short miles from Punta del Este, is a peaceful spot that will allow you the solitude you desire as well as the activities that you may choose to seek. There are beaches with sugar sand, clear waters and a serenity that will soothe you and provide the relaxation that is needed. There are nearby areas that always have something going on - gymnastics, music, events and more. Bikini Beach is one of the most active. The Playa de Montoya provides plenty of sand, sun and waves. This popular tourist destination was a small fishing village until about the mid part of the last century. At about this time, residents of San Carlos, a nearby town, began constructing their summer homes here. Today, the gorgeous beaches provide a resplendent backdrop for the area. Colorful homes, the art galleries, antique shops, restaurants serving many diverse cuisine choices and the famous wavy bridge blend together to provide an attraction that is unique to this area of Uruguay. The wavy bridge is a unique attraction that was built in 1965 by Leonel Viera, a Uruguayan engineer. Providing a connection between this Uruguay city and Punta del Este, this undulating bridge and the houses that are built on the banks of the creek provide a stunning view. Another bridge of the same type was built on the other side of the creek to handle the increasing traffic. If you are planning to visit La Barra, Uruguay, you will find there are many activities that you can enjoy. Water sports such as kayaking, windsurfing, jet skiing, canoeing and surfing can be enjoyed even if you do not know how - lessons are provided. If you prefer fishing, polo, horseback riding or even just walking in the outdoors and soaking up nature, this is an option that you may choose. For those who enjoy the nightlife, there are a variety of pubs, restaurants, bars and discos that will keep you going until dawn. Numerous restaurants with worldwide a la carte specialties will tantalize your taste buds. Many feature ocean views that can be enjoyed while dining. 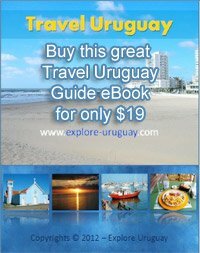 While visiting this beautiful Beach town in Uruguay, explore the tourist attractions and you may be pleasantly surprised. The Museum of the Sea provides a wonderful history and tales of pirates that roamed the area. Check out the collection of shark jaws, whale skeletons, snails and more that are provided. Choose from a variety of places to stay while visiting this beautiful place. There are several hotels and if you would prefer, there are houses available as well. The whole experience leaves you with the ‘I may never go home’ feel. La Barra provides a welcome escape from the hustle and bustle and leaves visitors in a relaxed and stress-free mood.